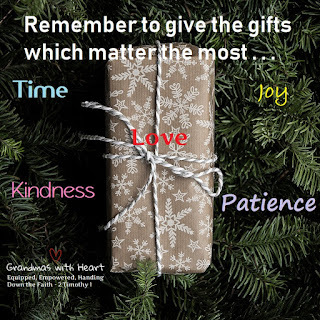 grandma's cookie jar: Give the Gifts Which Matter Most! On this day where we may think about sales and gifts we want to purchase, take time to focus upon giving the gifts which matter the most - give the gift of your time to those you love; give joy and happiness; give patience, but most of all give love! Share God's great love and be certain to voice and show your love to those who God has gifted to you!